The horror genre hasn’t had the best of starts when it comes to the Nintendo Switch. Don’t Knock Twice was less than thrilling, and Perception is something we’d rather forget about. 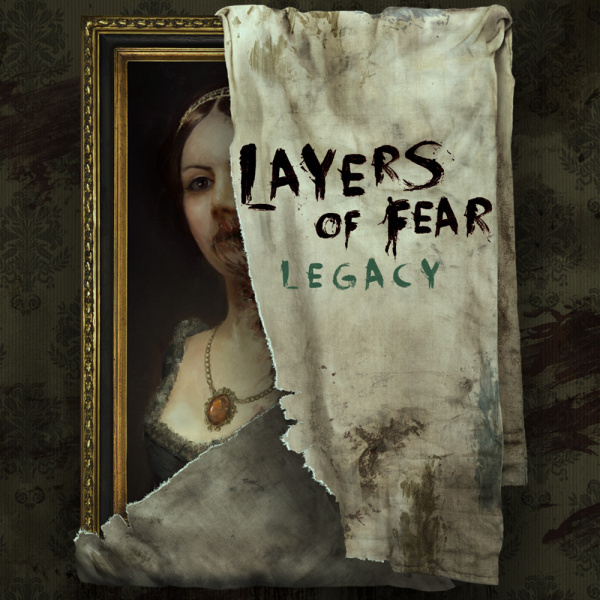 Next, up steps Layers Of Fear: Legacy, a port of a title from 2016 that has been re-built to take advantage of the Nintendo hybrid. So, does this one buck the trend and provide a horrifying experience that we’d think twice about getting tucked up under the covers with? Thankfully, it’s a resounding yes. You play as an unnamed painter, who after a court hearing, returns to his empty Victorian mansion to begin work on his very own magnum opus. But after completing the first layer, he starts to have hallucinations of his past and the events that shaped who he is today. You’ll play out these vivid visions as they explore the artist’s relationship with his wife, their daughter, the decaying of talent, and the slow descent into madness. The bulk of the story is contained within the painter’s past, and what a gruesome but fascinating trip down memory lane it is. Alongside the creation of the artisan’s crowning achievement, which is done in stages at the end of each chapter, you’ll explore what made him the man he is in the present. It’s a genuinely interesting tale that is sure to catch you off your guard upon some revelations, with collectibles providing further backstory and details you won’t want to miss out on. It’s a solid driving force that twists and turns through the whole experience, but it also offers itself as an excellent catalyst to the scares. If Bloober Team was looking to create its own masterpiece, then its magnum opus has been created thanks to the sheer variety of scares and bumps in the dark found in LOF:L. Of course, there’s the typical but successful jump scares that might cause you to drop your Switch once or twice in fear, but then so many more creative techniques are employed to really rack up the tension. Unique set-pieces frighten the life out of you, while gory imagery keeps you on edge the entire time. 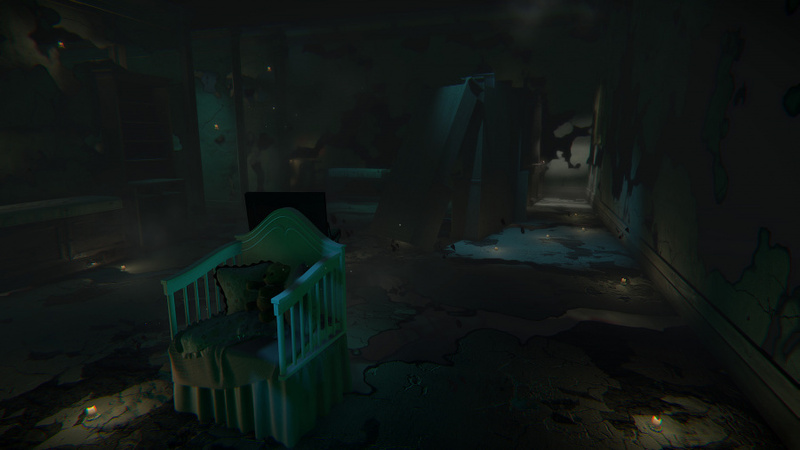 There’s terrors here that we haven’t seen in any other game before and because of that, it becomes a genuinely scary title to play. Coupled with this is the fact that you’ll never actually leave the confines of the mansion, but this is used to the game’s advantage. The whole house shape-shifts before your eyes, entire rooms come and go, and objects move with a mind of their own. It’s unnerving but fascinating to watch in motion, as a quick turn of the camera can render the room you’re in as non-existent while an entirely new landscape is painted in front of you. This goes one step further, as the dwelling reflects the illustrator’s descent into chaos, with the house in the later chapters being the biggest highlight. 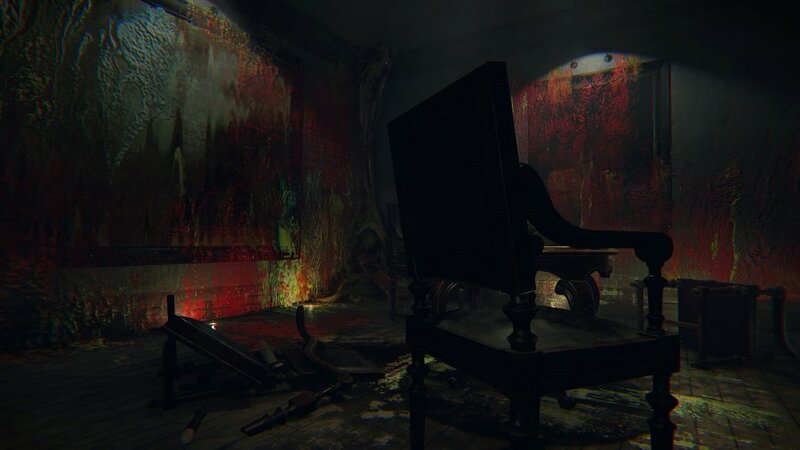 As blood seeps through the walls and torture contraptions appear within the vicinity, it becomes clear that the house is just as much of a character as you are. Watching the abode fall apart alongside you is a visual treat, as well as helping to personify the painter’s current ordeal. And if that wasn’t enough, it’s actually the paintings themselves that become the real star of this scarefest. They take on a life of their own as they incorporate themselves into scares that you don’t see coming, toying with you and playing about with your expectations. If there’s one thing to take away from all of this, it’s that LOF:L is playing with you, just as much as you’re playing it. When it comes to gameplay, things aren’t quite as impressive. 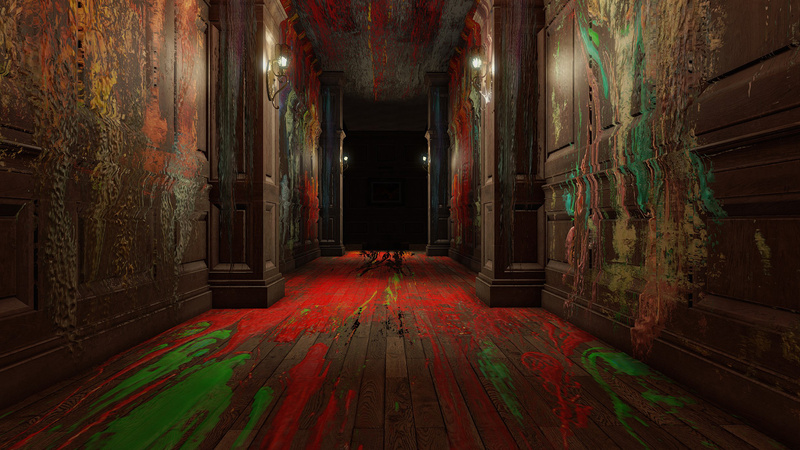 Played from a first-person perspective, you’ll explore the mansion in a fairly linear fashion while solving simple puzzles along the way, with no combat to speak of. The majority of interactivity is conducted using the ZR button, but there’s an added lease of life if you play the game with the Joy-Cons detached. You’ll be able to open doors and chests using the same motion you would in real life, with the added effect of HD Rumble to make things feel a little more life-like. It’s nothing game-changing, but it’s a neat feature that you’ll only find in the Nintendo Switch version nonetheless. However, the gameplay feels like more of a vehicle for the story and scares to take place. It’s completely serviceable, but nothing to really shout home about. While the base game can be completed within five hours, you’ll get another one or two out of the Inheritance DLC, which comes bundled with the Legacy edition. This expansion sees us return to the Victorian mansion, but this time as the painter’s daughter as she visits to claim her inheritance. You’ll be able to explore the entire house at your leisure, and occasionally you’ll come across an object that will trigger a memory in the offspring. 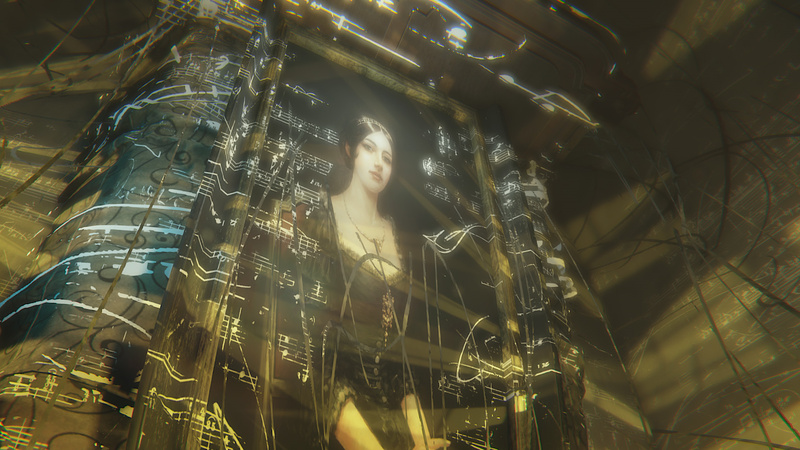 These are gameplay sequences told from the daughter’s perspective as she interacts with her father at a young age, and they provide context to the main game, as well as detailing the impacting events that lead to the culmination of the original title. The gameplay itself is fine, but it doesn’t really do anything differently from the original title. Thanks to its short length it’s definitely worth a quick playthrough, but don’t expect anything truly spectacular. It’s clear that some love and care has been put into this Nintendo Switch port, because LOF:L runs like a dream in both docked and handheld mode. The framerate was a major talking point upon the title’s original release on PlayStation 4 and Xbox One, where both systems suffered from plenty of dips. This isn’t the case here, with a smooth experience to be had no matter whether it’s on the big screen or tucked up in bed. The graphics themselves are fine, but it’s the lighting that elevates the visuals to the next level. The moody thunderstorm outside combines with the candlelight indoors to cast atmospheric lighting across many rooms, creating a sinister and foreboding ambiance. We also need to pay homage to the soundtrack, which is led by piano tones that only help to heighten the aura in certain scenes. It was never going to be the best looking game on the system, but we’re happy to report that this is a solid Nintendo Switch port, a surprisingly decent achievement when you consider how others have gotten it wrong. 8 is great in my book! I have been waiting to get this on pc, may get it on Switch instead. This title didn't appeal to me at all initially but Alex's video and this review have gone a long way to change my mind. It's also interesting that the Nintendo Life and Push Square scores for this game align. I check that now that the Switch and PS4 get many of the same games and it happens less often than I initially thought it would. This is a first day purchase for me. The visuals, story-telling and quirky scares have sold it! I'm always open to trying a good horror game even if I end up chickening out before long. Will probably give it a go. Lackluster gameplay usually doesn't sit well with me, maybe Outlast will be good on Switch. Finally has it's first great horror game? Resident Evil is a great horror game, albeit with a lot of action elements. This looks good but it aint the first! You betta recognize NL! Played this on PC about a year ago. I never ended up beating it but I'd still recommend it to anyone itching to play a horror game. I liked that it didn't rely too much on jump scares and instead built up a creepy ambiance. It feels a lot like going through a creepy fun-house. It always finds a way to keep things interesting. I am really intrigued and can appreciate the game messing with me (fond memories of Sanity's Requiem on Gamecube). I’m a giant chicken, so not for me still, happy to see genres expanding on the Switch. Looking at reviews on Metacritic its scores are quite mixed. Hmm, if it's €15 at launch, or less I'll bite. It's been out for a while on other systems and I have it on PS4 already. I also don’t get why some people don’t like the horror or mystery genre, not all games have to be action packed. Games are like art, all genres have their value and I find you can find a memorable experience in any genre, but unfortunately today it seems their are so many people who don’t go out there comfort zone. How can you not want to experience as much as possible! You only live once, Personally I am so glad I was raised the way I was to be open minded to everything as it has created some memorable moments especially in gaming. Long answer: no, gameplay informs and conditions the rest of the design as much as the other elements condition gameplay. I'll get it once it's on sale as I feel $20 isn't meant for me to try this. This game looks very dark. I mean literally, I can barely tell what is in most of these screen shots. @McGruber I wouldn't really call this a horror game, I mean I guess it could be but it's more crazy psychological kinda thing. Can't wait for this one. The Switch port is the definitive version too. 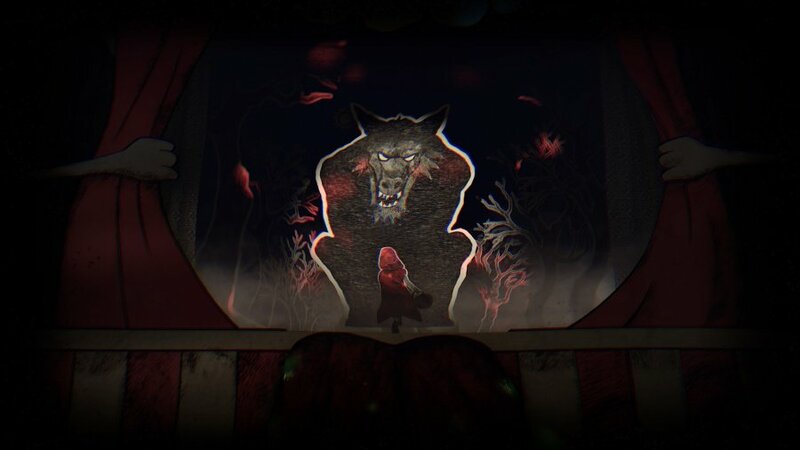 Whilst it sounds like the gameplay isn’t necessarily the best it delivers on scares which is what I want .... intrigued.... and In need of a scare on the switch .... yep ... sold ! Funny how this title got mediocre reviews on other sites, yet cause of a Switch release scores the minimum 8 on this site. When making a decision to buy a game reviewed here, I always calculate with a 2 point penalty for a more reasonable outcome. Probably a mental block to blot out the trauma of the game deleting your entire save file... that was such a dirty trick! On the 22nd, Hollow is releasing as well. If that’s good then we’ll be two for two in great horror games. By your logic, they only gave it an 8 because it's a PS4 game. Guess I should deduct 2 points for every PS4 and Vita game. That's a very unfortunate image. Finally!! Getting it day one to support. Want more of this. Revelations 2 was good and everything but not really scary lol. Would want Resi7 tho. Id say its a 7.5 / 10. Just a bit too point and clicky for me. this is a Gone Home/Dear Esther type game.. but with horror/surrealist elements. What some define as “walking simulator” genre. If you like that type of thing (I certainly do - I love ‘em) it’s one of the better ones imho. In my top 10. Don’t believe it! Gameplay is a walking simulator and there are only jump scares. Watch angryjoe review of this game. It will tell you all. STOP BEING FRAUDS REVIEWERS! I don't like Angry Joe. I like ACG and he likes this game. I've played lots of horror games and in my books this is one of the best. It has bit of a walking simulator thing going on but the sheer amount of visual tricks and atmosphere makes this a great piece of entertainment. I got actual goosebumps most of the time while playing this. A perfect combo of awesomeness and chills. 9/10 from me, the only downsides being the somewhat slow controls and the lack of proper gameplay which are ultimately minor problems overshadowed by the mansion and its demonic nature. I've been looking forward to this game since it originally released on PC. Now that it's on Switch, I'll be sure to pick it up. I have no problem with "walking simulators" if they are done well. I just checked the eShop and it hasn't released yet for some reason! Hopefully that will change soon!